Template Monster Website templates, Flash intro templates, Logo templates and Custom Web Designs are available at TemplateMonster.com. Create a unique web presence using pre-made designs and templates of the highest quality. FreeWebTemplates.com Offers a huge collection of hundreds of free website templates designed by designers from all over the world. Templates Resource Offer a large collection of royalty free Photoshop and Web Templates with the best rates on single and bulk purchases! With over 1600 website templates and accessories (including website company logos), we are sure to have a design style to meet your needs. 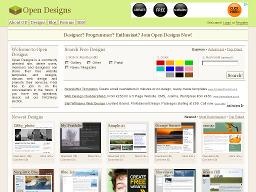 OpenDesigns.org A group of open source website designers providing frëe web design templates. Hundreds to choose from. 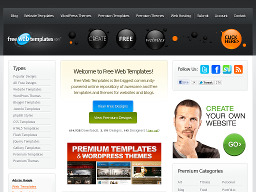 FreeWebsiteTemplates.com Provides a number of quality templates that can be used and modified for creating websites. All templates are coded in CSS. Art for the Web One of the oldest templates site on the web. 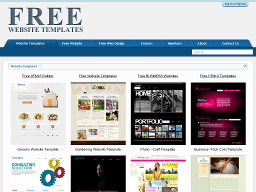 Download free original web templates or pay a low "one time lifetime" fee for download access to over 75 professional templates, including all new templates added in the future. 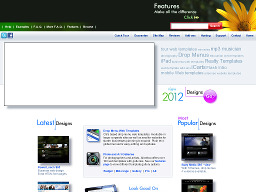 AllwebcoDesign.com Offers 17 pages of website templates. 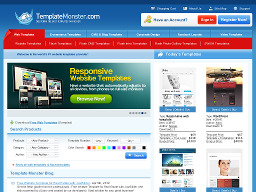 If you're looking for quality template providers, this is a good site to visit. Unlike some template sites this one provides detailed setup help and secondary pages with each design, not just the homepage. 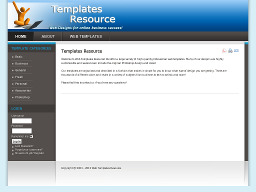 TemplatesBox.com A popular repository of hundreds of fr'ee templates for websites, ezines, logos and banners. The site also has flash templates and links to some great resource sites.